UN Rights Chief Slams Trump For ‘Bigotry’ In Election Campaign, Could Lead To Violence…. Zeid Ra’ad Al-Hussein delivered the blunt criticism in a speech at a university in Cleveland, Ohio, whereRepublicans will gather in July to choose their White House nominee. 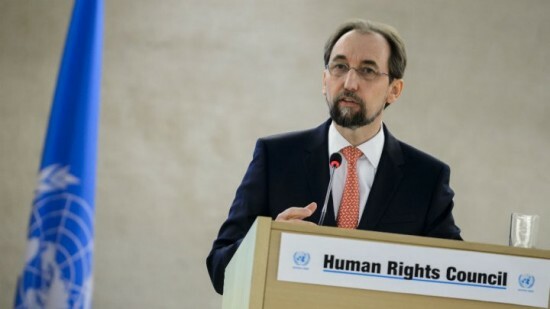 Zeid did not refer to Trump by name but he deplored the “frontrunning candidate for president” who declared his support for torture, and took aim at the “multiple candidates” who advocate surveillance and other invasive measures targeting Muslims.